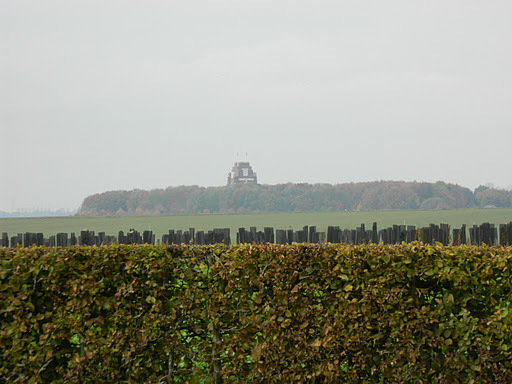 Last month I visited the Somme battlefields to do some research for a work in progress, War Songs. It’s a manuscript I began some years ago, and need to rewrite. One day. War Songs is the story of an ambulance driver and a nurse in a Casualty Clearing Station on the Somme from 1916 to 1918, the years of the great battles on that stretch of the Western Front, and since I was in France I took the train north to Amiens to get a better feel for the country and the memories it holds. 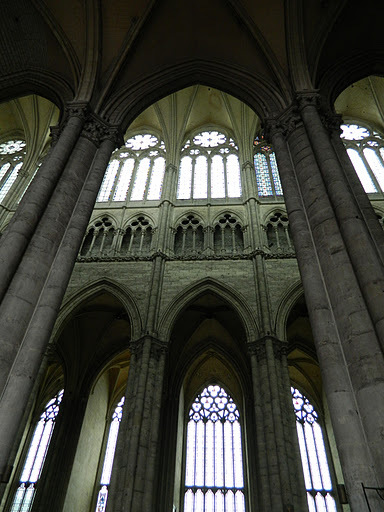 Amiens Cathedral is one of the wonders of the Gothic world, as vast and glorious as Notre Dame in Paris, but without the crowds. It was an appropriate place to start my journey, to stop and reflect and light a candle, with memorials to many of the forces that defended the town, including the Anzac force which stopped the German advance at Villers-Bretonneux in April 1918. 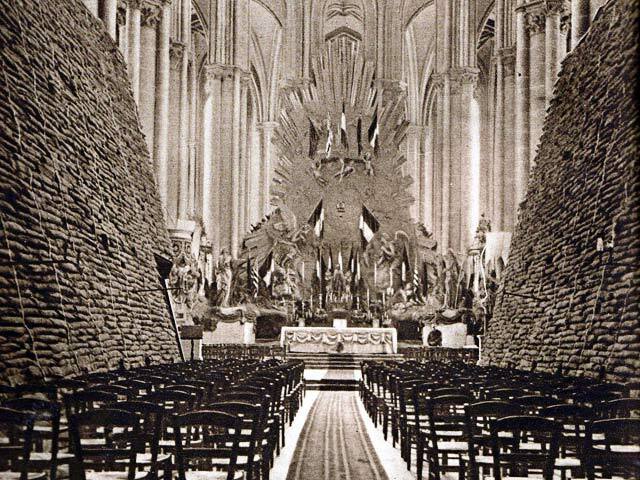 During the war, the cathedral was piled high with sandbags to protect the precious stained glass windows, the carved choir, and the ethereal stonework. 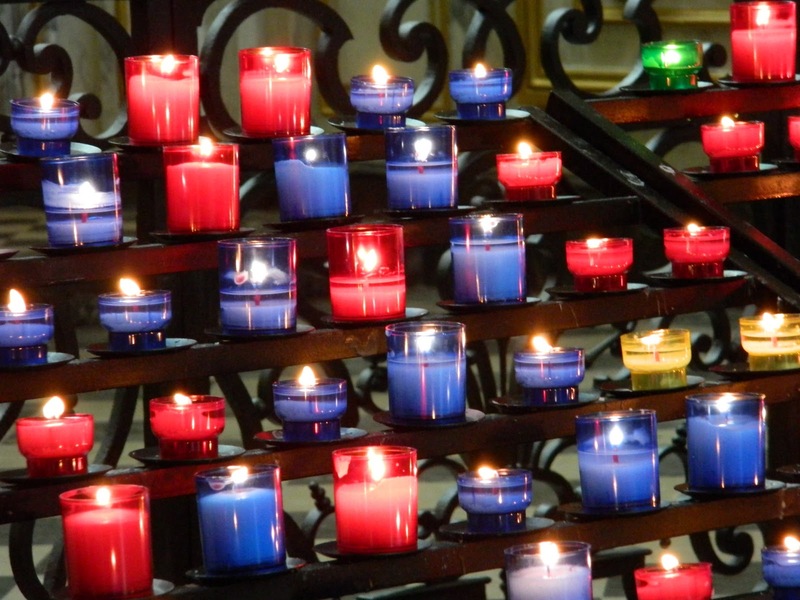 The town and the cathedral were bombed, and again during World War 2, but saved from the utter destruction suffered by many of the smaller towns in Picardy and Flanders which, to this day, have never really recovered. One such town is Albert, a few kilometres east of Amiens. I have set most of War Songs in an encampment outside Albert, a town through which so many soldiers and ambulances passed on their way to the front line. 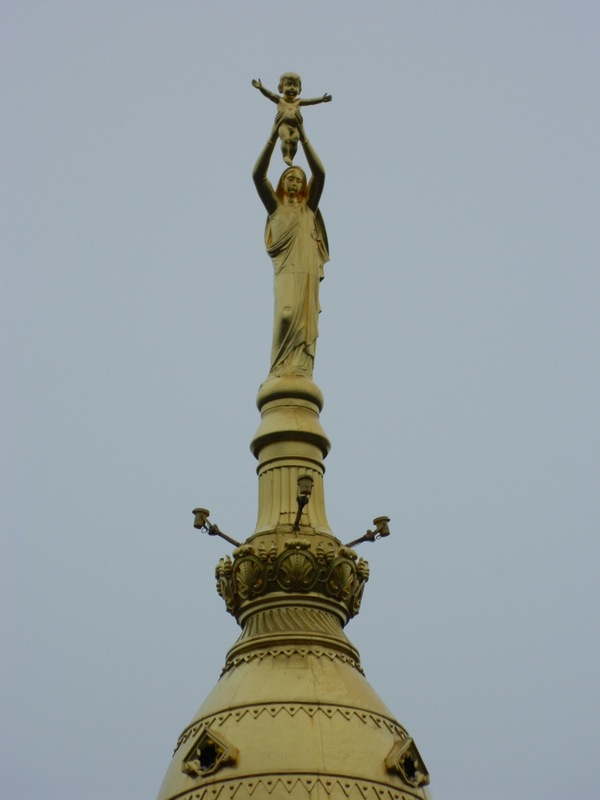 It was also famous for its cathedral – or basilica – the spire of which is topped with a golden statue of the Virgin holding the infant Jesus aloft. The spire was hit by a shell in 1916, and the statue spent most of the rest of the war dangling precariously. The soldiers believed that if she ever fell, the Germans would win the war. The Australians, of course, had many nicknames for the Holy Mother, including Fanny Durack – one of our Olympic swimmers. The statue did fall eventually, blasted off its pedestal, although that didn’t seem to affect the outcome of the war. 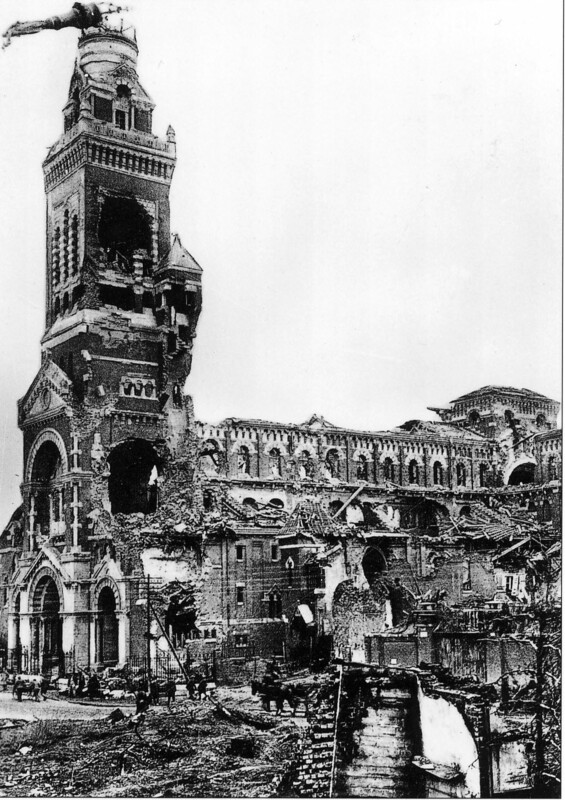 Albert itself was slowly beaten into dust by shells and bombs, and taken by the German Army in its Big Push of 1918. The basilica and the statue were rebuilt in the 1920s, and it remains – as it was then – a landmark visible across the battlefields, so you can always see where you are, and how near you are to Albert. I hiked to the outskirts of Albert, to two small cemeteries. One was Bapaume Post, once on the frontline. Here, as in so many other sites, I was the only visitor, walking silently between the rows of graves, pausing every so often to ponder the eighteen year-old Tyneside Irishmen, the 45 year-old stretcher bearer, the four friends buried with their headstones close together, the rows and rows of human beings who share the same final day. 1 July, 1916. 23 July, 1916. 24 April, 1918. 4 July, 1918. From here you can look back towards town, or out across what was once a contaminated mess of barbed wire, smashed vehicles, pulverised dirt, cast-off boxes and bottles and tins, and too many small wooden crosses or nondescript mounds of earth. 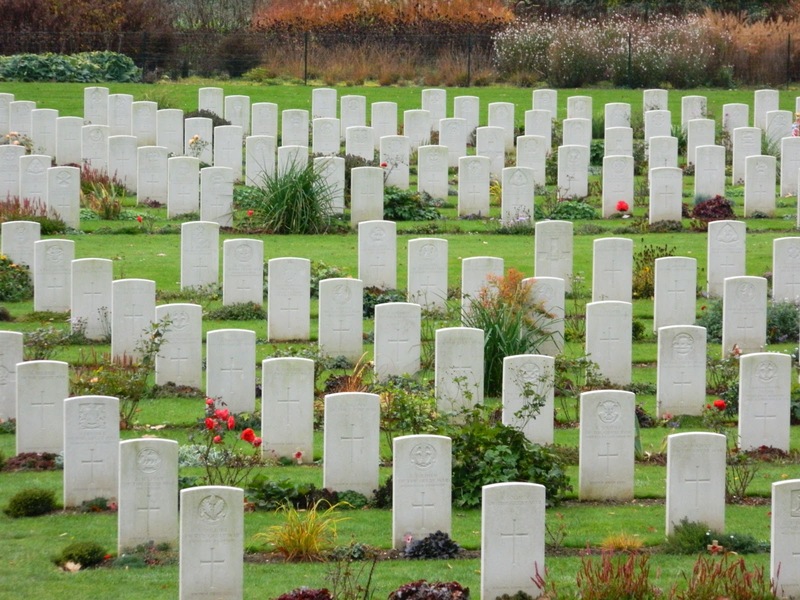 Like Gallipoli, the countryside is dotted with cemeteries, each with row upon row of simple white headstones, and edged with close-trimmed lawn and flowers, and the last few poppies of the season. 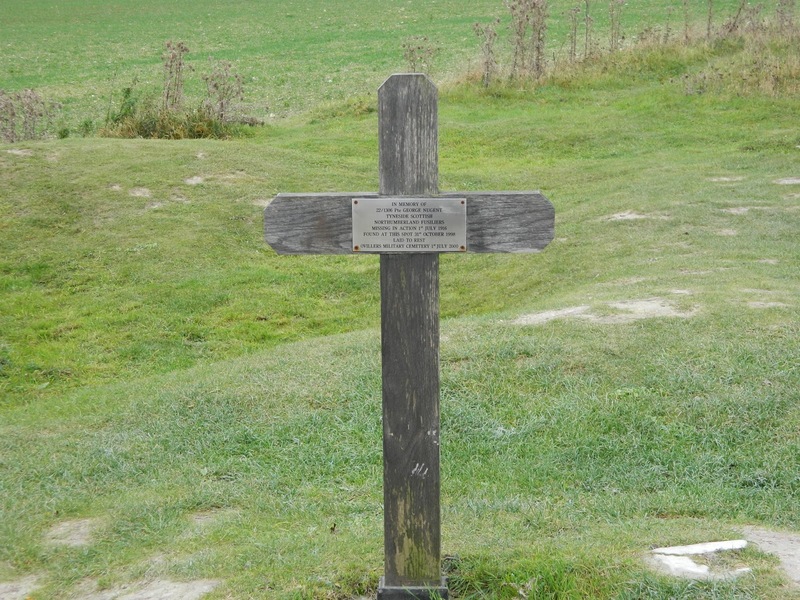 Your eyes can trace the positions of the front lines and key battles by the placement of the cemeteries and memorials that mark the skyline – the high ground. Always the high ground. 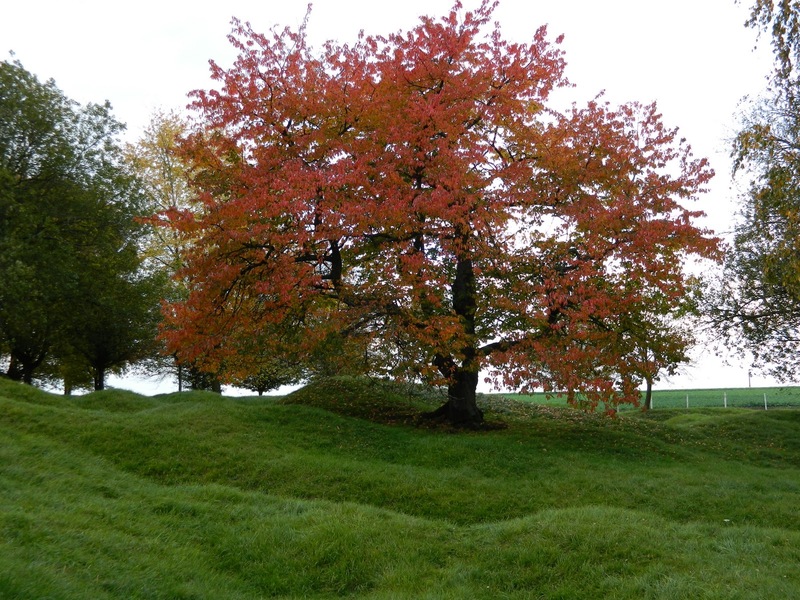 You can also see, especially in autumn or winter, the marks of war scattered in the fields: the shattered white clay coming through the topsoil in circles (shell craters) or lines (trenches) or surreal blotches (all hell broke loose here). The earth still bears scars, nearly a hundred years on. Each year, even now, the farmers find more shell casings, belt buckles, water bottles, and – yes – bones. The locals call it “the memory of the earth”, or “Somme harvest”. One day, I was very fortunate to have the services of Olivier Dirson from Chemins d’Histoire, a softly-spoken French battlefield guide. Olivier took me to Heilly, the site of a casualty clearing station by the railway line, its presence marked only by a small cemetery. It was just as I had imagined the setting of War Songs, but immeasurably sadder in real life. We travelled to Villers-Bretonneux, where the Australians checked the German advance, and where the school, famously, was rebuilt with funds raised by Victorian schoolchildren; to the mine crater at La Boiselle; to the old trenches at Beaumont-Hamel; to Pozières and the site of the windmill, which, according to Bean, “marks a ridge more densely sown with Australian sacrifice than any other spot on earth”. From Pozières you can gaze across the few hundred metres to Mouquet Farm and a few hundred metres further to Theipval – to Lutyens’ magnificent Memorial to the Missing. All these place-names, learned in school and on many Anzac Days, read in countless books. It’s easy to do, easy to write: I stand on the remains of the Windmill and look towards Mouquet Farm. 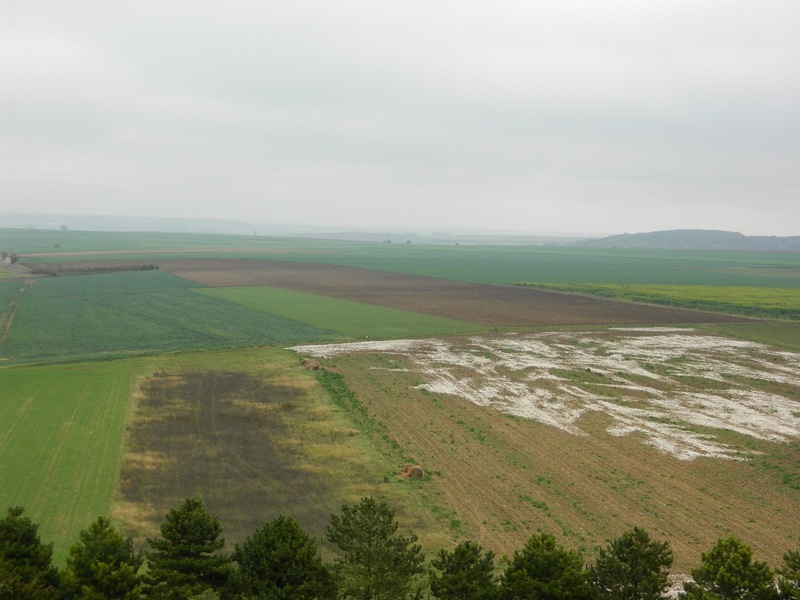 But in that field, the AIF suffered more than 23,000 casualties between 23 July and 5 September 1916 – just over six weeks. Like Lone Pine, the distances between the sites of these horrific battles is sometimes just a short stroll. Just like the Nek, in places the opposing trenches were only a grenade lob apart. And yet … and yet men were expected to climb out of those trenches and run across that thin stretch of shell-pocked ground towards the machine guns, the wire, the other men. And yet they tried. Over and over. The numbers, the facts, are literally incomprehensible. 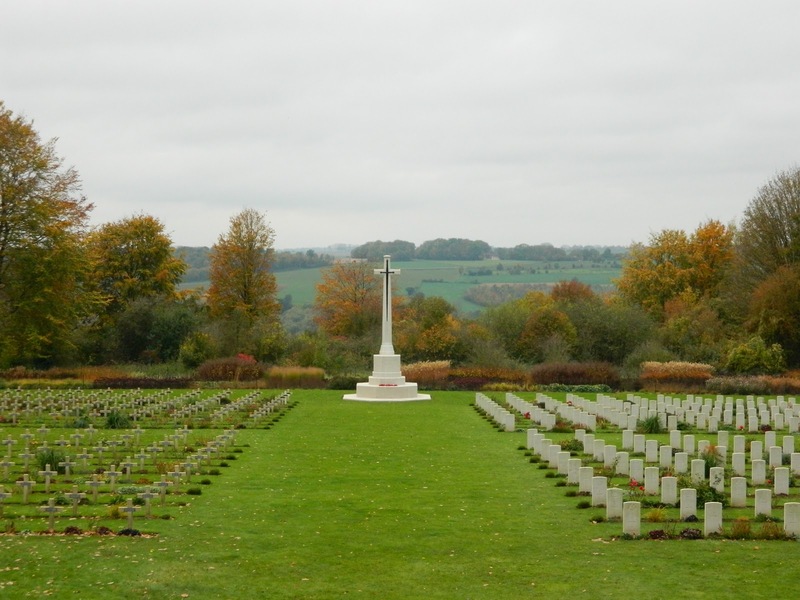 30,000 British casualties, just to take Mouquet Farm, a small red-roofed building on a hill. The number of names listed on the Thiepval Memorial: 73,367. And that’s only the names of the British Empire and South African people who served here in these few miles of the Front and whose graves are unknown. Most of them died in the first few months of the Battle of the Somme. 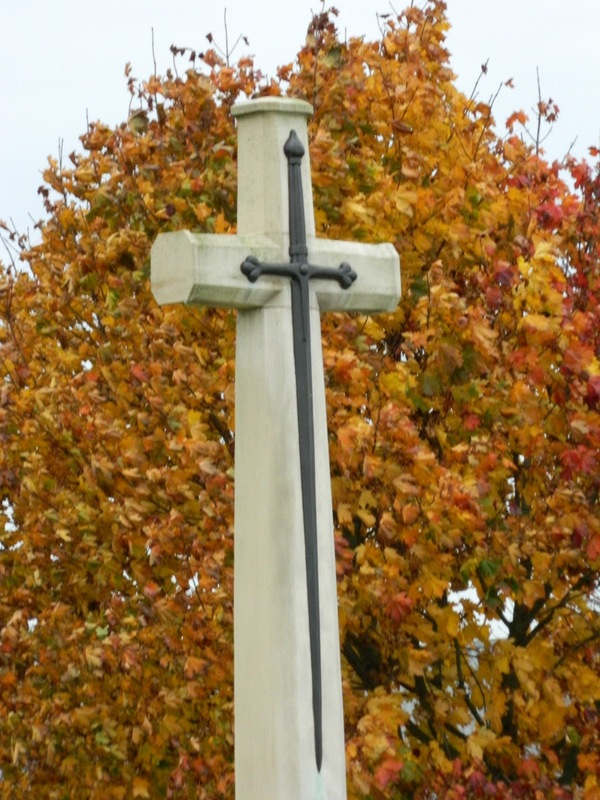 Medical staff were among them: there were many RAMC headstones in the cemeteries I visited. 300 nurses – women – died in the war. Stretcher bearers and orderlies were amongst the casualties far too often (including my great-grandfather who returned from Flanders, gassed, and ill for the rest of his life). The brain dodges around these numbers, tries to think about them logically, then flinches away: there is no way to properly understand them. 74,000 missing. That’s the entire population of Darwin. Or New Plymouth. Numbers too big to comprehend. But they hold enormous meaning: individually and collectively. Unbelievable figures. 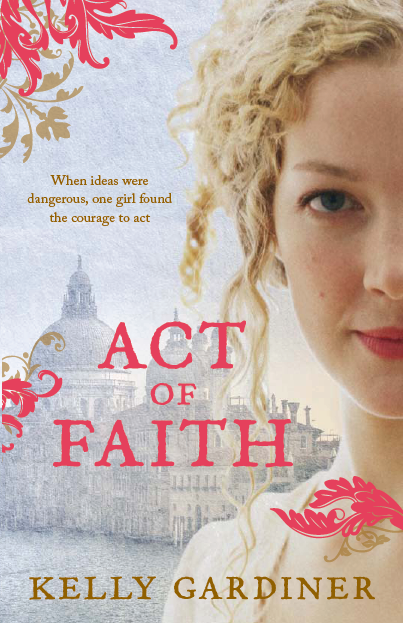 And how much faith (in what? a principle, an ideal? maybe just faith in courage itself) must it have taken those men to get out of the trenches and run to their deaths.It's truly too hard to imagine!Can't wait to read that book. Thanks for your comments, and for taking the time.Sharon, I wonder how much the idea of book banning and persecution are linked, in history, to the fact of war and violence? Too often, I'm afraid. Thanks for your thoughtful words.